79 --That’s the number of reforms we’ve enacted to create tax relief since 2011. From farmers to local manufacturers, we will have provided over $8 billion in tax relief, since we took office, to the hardworking taxpayers of Wisconsin by the end of the current budget. According to the U.S. Census Bureau, overall state and local tax burden are below the national average, and at the lowest point in more than 50 years. At the same time, we have eliminated the state property tax for the first time since 1931. And, your property and income tax will be lower in 2018 than in 2010. With well over 50 types of tax law changes, we are ensuring that tax relief reaches every corner of the state, from our rural counties to the largest urban centers. Over the last eight years, the median family of four in Wisconsin has saved $1,400 in income tax cuts. But we want to do more, especially when there is a government surplus – that is your money, not the government’s. As part of our Ambitious Agenda for 2018, we are proposing a child tax credit rebate, which will give $100 back to families across the state for every child, under 18, living at home. This tax credit would reach families in every corner of Wisconsin. The Department of Revenue estimates that approximately 671,000 households and over 1,200,000 children will be eligible to receive this credit. Families across Wisconsin face significant costs in raising their children. 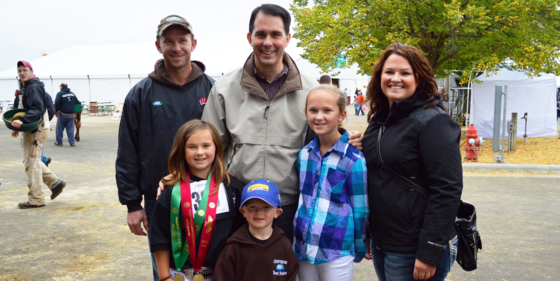 The Wisconsin Child Tax Credit will help families, especially those who are struggling to make ends meet. 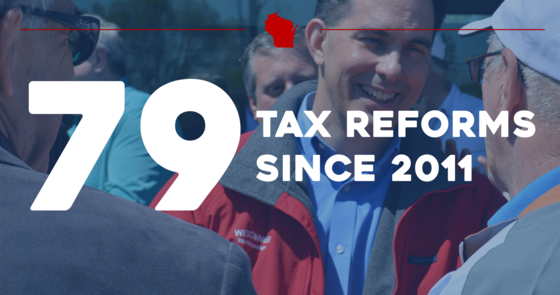 This is just one more way we are providing tax relief to the people of Wisconsin.